Not much to post today....Libbi had school this morning and Lay-Lay and I just hung around the house. I thought I would share a few of my favorite pictures and videos that we've taken lately. It's so hard to get a good picture of Libbi these days because she is CONSTANTLY on the move, but Laney girl is at the perfect age (in my opinion) for pictures, because she isn't mobile yet (minus the rolling) and she'll smile like a jack-o-lantern at anything! 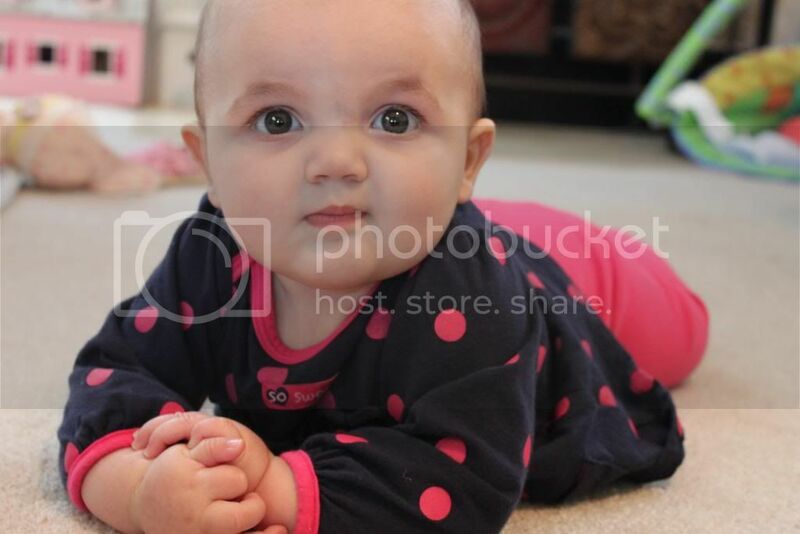 I love this picture of Libbi. She has on her tickle monster gloves (do y'all have that book? if not, you must get it! It is so much fun!!) 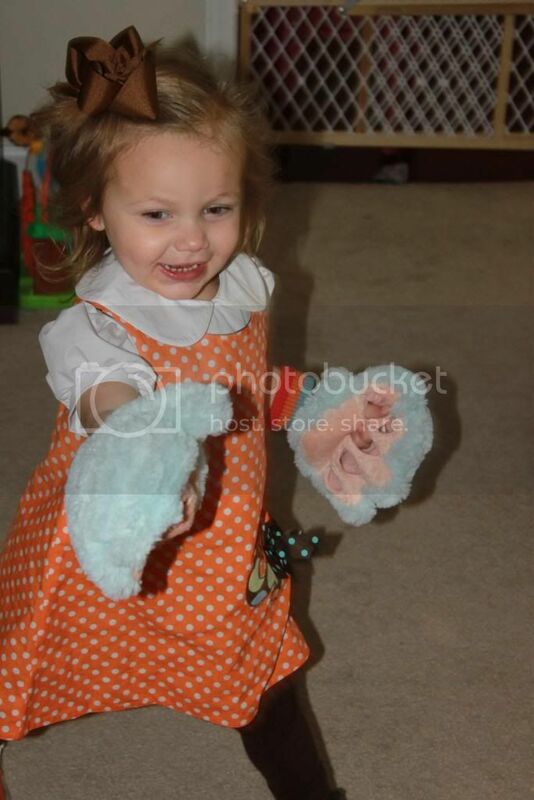 She loves wearing these "tickle gloves" almost as much as she loves when someone else wears them and tickles her! Libbi wanted to hold Lay-Lay (which is a rarity, because she usually refuses to hold her saying either, "Lay-Lay too hea-bee!" or "Lay-Lay...biiiiiig poo-poo!") Seeing this picture I think she may be right! Laney is almost as big as she is! 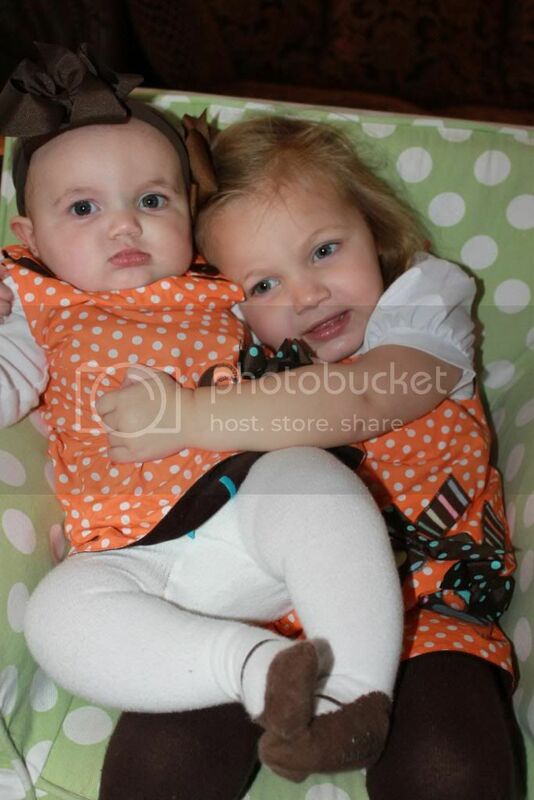 :) This has the potential to be filed under "awkward family photos"
Laney has started making this funny grunting noise. 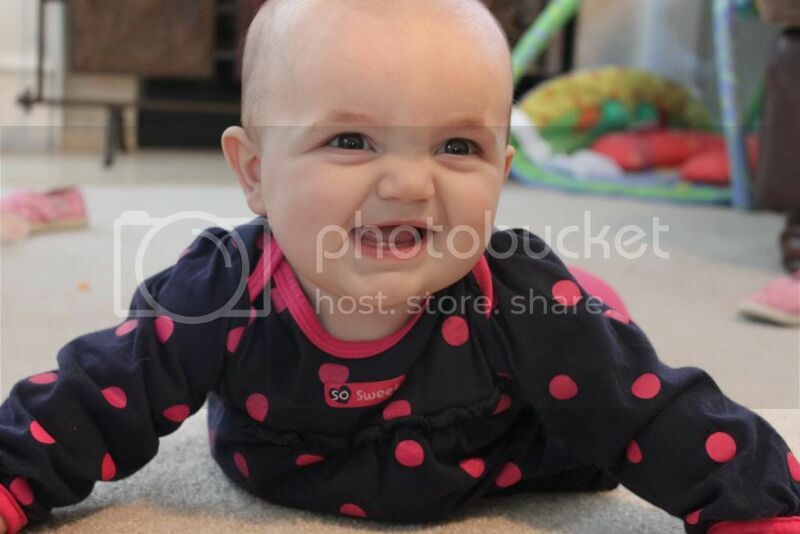 Almost like she's mad and she clenches her fists to go along with it, which makes it even funnier. Next is our little rambunctious one. She is just full of energy and finds new ways to "use" her toys and furniture each and every day. I sure am glad we bought her that pottery barn chair...She keeps us on our toes, this one. or to take the Melissa & Doug North "Poll" to get your 25% discount!